Size: 60 x 39 inch. Material: Made from cotton, fabric, soft material. This rug makes any home complete with style and elegance. 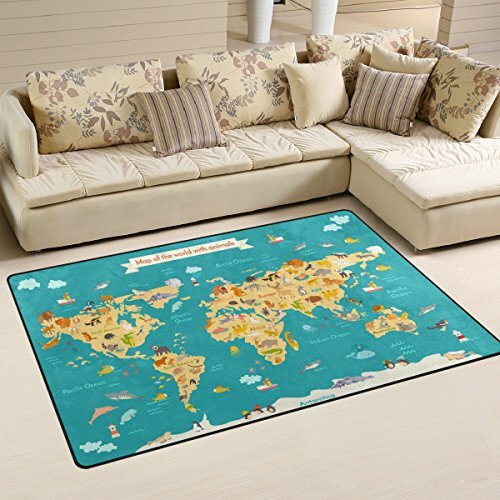 They are colorful, feels nice and soft, and a great choice if you use your floor for reading, laying or sitting. These rugs will naturally resist stains, fading, making them perfect addition to homes with kids and pets.